This is a page I've made to explain the 3 D's: diabetes, my diagnosis, and the devices I use to help me keep track of/ control (I hate to use that word, but I can't think of any other words) my diabetes. If you have any other questions about any of these things, feel free to ask me! There are two main types of diabetes: Type 1 diabetes (T1D) is an incurable, auto-immune disease, not a lifestyle disease. T1D accounts for roughly 10% of the almost 400 million global cases of diabetes, and people with Type 1 are insulin-dependent for life. Type 2 diabetes occurs when the body cannot properly use insulin, also known as insulin resistance, and can often be treated through diet, exercise and medication. T1D is a chronic, autoimmune condition that occurs when the body’s own immune system attacks the insulin-producing beta cells of the pancreas. This attack leaves the pancreas with little or no ability to produce insulin, a hormone that regulates blood sugar. Without insulin, sugar stays in the blood and can cause serious damage to organ systems. When we eat, our bodies break down complex carbohydrates into glucose, the fuel we need. The pancreas releases insulin that acts as a kind of key to unlock the cells, allowing glucose to enter and be absorbed. Without fuel, cells in the body cannot survive. In addition, excess glucose can make the bloodstream too acidic, resulting in diabetic ketoacidosis, which can be fatal if not treated. People with T1D must inject or pump insulin into their bodies every day to carefully regulate blood sugar. T1D is neither preventable nor curable and while its cause is unknown, studies prove that T1D results from a genetic predisposition together with an environmental trigger. 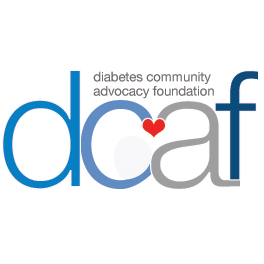 Living with T1D is a full-time balancing act requiring constant attention to avoid acute, life-threatening hypoglycemia (low blood sugar) or the long-term damage done by hyperglycemia (high blood sugar). Blood sugar levels must be monitored either with finger pricks or a continuous glucose monitor. Insulin doses must then be carefully calculated based upon activity and stress levels, food intake, illness and additional factors. These calculations are rarely perfect resulting in a tremendous emotional and mental burden for both patient and caregivers. I was diagnosed with diabetes in January of 2004 and I remember a tiny amount, but I (finally!) made a post about my diagnosis and pretty much my life with diabetes up until I started my blog. If you want to read all about my backstory, (warning: it's long) you can find that here! Okay this is pretty much here for anyone that is wondering what pump, sites, blood tester, diabetes-related apps, CGM, or any other diabetes related things that I use. Sites: Contact Detach and once I run out of those, Tandem TruSteel. Blood Tester: One Touch Verio IQ. Apps: I don't manually log much (here's my blog post about that), but I like using Tidepool Mobile for my pump/ blood tester/ CGM data; I can add notes if needed, but don't HAVE to log everything, which I love. mySugr is my favorite stand-alone app. The UI is super nice and it has pretty much everything you'd need to log. (App Store/ Play Store). The Dexcom Clarity app is also a life saver when I need data from my CGM, but my receiver is dead/ has been out of range for days! Other things: If I'm carrying around my receiver, I use a Vera Bradley ID case, a la Sara & I decorate it with Pump Peelz. (I have one in tie dye and one in a blue floral pattern.) My current medical ID (that I'm not wearing, oops) is a custom made bracelet from Blushes and Gold. I use a One Touch Delica Pricker and have been using Humalog since 2004.